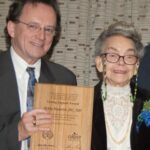 Initiated by NUNM and the Oregon Association of Naturopathic Physicians, the Living Legend award honors extraordinary lifetime achievement by members of the naturopathic medical community. Each year a living legend is selected from nominations submitted by the community for their demonstrated leadership, commitment to excellence, and selfless contributions to the advancement of natural medicine. Recognition of living legends also serves as a reminder of the proud history of natural medicine in Oregon, and provides an opportunity for all naturopaths to meet and interact with long-established physicians. The years Living Legend Dinner is held on Saturday, Dec. 1, 2018, during the Oregon Association of Naturopathic Physicians’ Annual Pharmacy and Ethics Seminar, an event that draws 300 naturopathic doctors to Portland. The annual Living Legend is celebrated along with the accomplishments of other alumni. 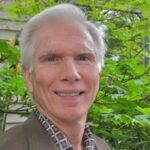 Mitch Stargrove, ND, was honored with the prestigious 2017 Living Legend award for his demonstrated leadership, commitment to excellence, and outstanding contributions to the advancement of natural medicine in the state of Oregon. Read more about Dr. Stargrove and the 2017 Living Legend Award Dinner. Ed Hofmann-Smith, PhD, ND, was honored with the 2015 Living Legend award. 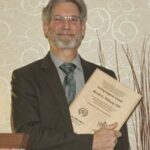 The award recognized Dr. Hofmann-Smith’s outstanding leadership, commitment to excellence, and longstanding contributions toward the advancement of the naturopathic profession in Oregon. Read more about Dr. Hofmann-Smith and the 2015 Living Legend Award Dinner. Rita Bettenburg, ND, was bestowed the highest honor from NCNM and the OANP: the 2014 Living Legend award. 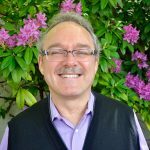 The award recognized Dr. Bettenburg’s outstanding leadership, commitment to excellence, and longstanding contributions toward the advancement of the naturopathic profession in Oregon. Read more about Dr. Bettenburg and the 2014 Living Legend Award Dinner. Martin Milner, ND, was honored with the 2013 Living Legend award for his demonstrated leadership, commitment to excellence, and outstanding contributions to the advancement of natural medicine. 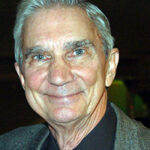 Read more about Dr. Milner and the 2013 Living Legend Award Dinner. Kevin Wilson, ND, was the recipient of the third annual Living Legend award. The honor recognizes Dr. Wilson’s demonstrated leadership, commitment to excellence, and selfless contributions in the advancement of natural medicine. Read more about Dr. Wilson and the 2012 Living Legend Award Dinner. 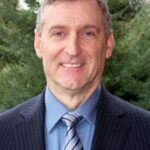 Rick Marinelli, ND, MAcOM, was honored with the 2011 Living Legend award for his demonstrated leadership, commitment to excellence, and selfless contributions in the advancement of natural medicine. Dr. Marinelli is a clinical authority on pain management and natural medicine. Read more about Dr. Marinelli and the 2011 Living Legend Award Dinner. Kenneth D. Peterson, DC, ND, received the inaugural Living Legend award from NCNM and the OANP. 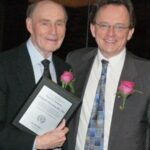 Dr. Peterson was recognized for 57 years of dedicated service and advancing the profession of natural medicine. In practice since 1953, Dr. Peterson holds the distinction of being the longest continuously practicing naturopathic physician in Oregon. Read more about Dr. Peterson and the 2010 Living Legend Award Dinner. Betty Radelet, DC, ND, received the inaugural Living Legend award from NCNM and the OANP. Dr. Radelet is recognized as NCNM’s first female graduate and for advancing the profession of natural medicine. Prior to retiring at age 89, Dr. Radelet held the distinction of being the oldest continuously practicing naturopathic physician in Oregon. 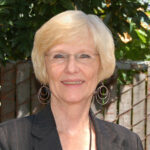 Read more about Dr. Betty Radelet and the 2010 Living Legend Award Dinner.